One of the ways that the USA has influenced Latin America and the rest of the world is through its music. It’s true that US culture has flooded other parts of the world more than they have flooded each other in the last century, but music is rarely adopted without adding local flavor. Musical hybridization is nothing new, and in my book it is one of the more enjoyable results of globalization. I was riding a bus in Mexico City the other day when a couple of young guys got on board and addressed the passengers. They announced that they were rappers from Iztapalapa (a poor neighborhood in the Federal District) and started to explain the role of improvisation in freestyle hip hop. A passenger finally volunteered “cabra.” Goat. Awesome. I happened to have my audio recorder on me, so click play below to hear the show. Below is a transcription and translation of some of their lyrics. De las buenas y las malas yo vengo a alegrarles, yeah! Así es como lo tengo, mira ¿cómo lo adivinaste? That’s how I am, look, how did you guess? no hay quien me detenga, no, por eso no voy a devaluarme. Keep in mind that they’re not the only ones spinning rhymes in Mexico. 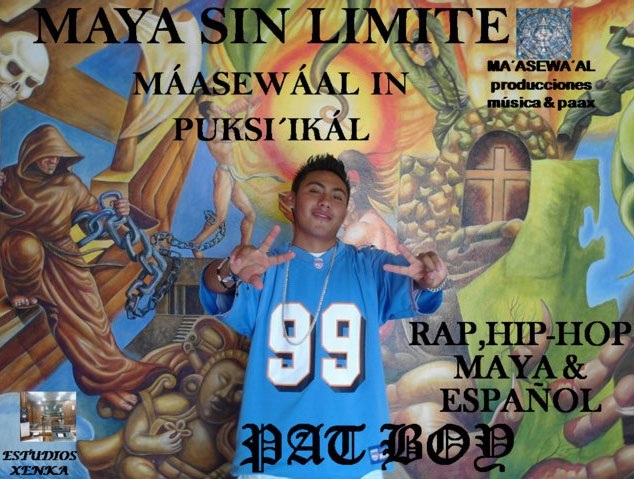 Pat Boy, for example, raps in his native Mayan language from the Yucatán as well as Spanish. What happened to the cabra? Haha, it’s there! The part about the cabra was just harder to translate. If you listen to the recording you can hear it! ← Mexico in the 21st Century: Neoliberal Paradise?